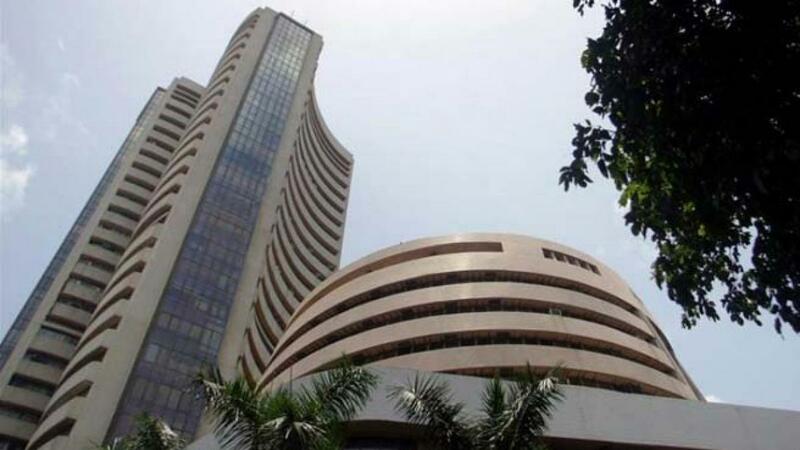 Hopes of a rate cut by the apex bank on the back of strong macro economic data buoyed the Indian equities markets on Monday leading to a barometer index gaining over 250 points during the late afternoon session. The better-than-expected wholesale price index (WPI) and a modest factory output data cheered investors. The hopes of a healthy consumer price index (CPI) data, expected to be released later in the day, further supported the markets. The barometer 30-scrip sensitive index (Sensex) of the Bombay Stock Exchange (BSE) had closed 11.96 points or 0.05 percent down on September 11 -- the last trading day. On Monday, the wider 50-scrip Nifty of the National Stock Exchange (NSE) surged 77.10 points or 0.99 percent at 7,866.40 points. The S&P BSE Sensex, which opened at 25,706.87 points, was trading at 25,860.88 points (at 3.00 p.m.) -- up 250.67 points or 0.98 percent from the previous day's close at 25,610.21 points. The Sensex touched a high of 25,877.19 points and a low of 25,531.07 points in the intra-day trade so far. Analysts cited healthy WPI data released on Monday and Friday's index of industrial production numbers (IIP) to be the positive triggers for the markets. "The WPI has come in within expectations and shows further decline. The IIP data released late on Friday too cheered the investors," Anand James, co-head, technical research desk with Geojit BNP Paribas Financial Services, told IANS. "Though the IIP data's growth was more or less due to last year's base effect and was subdued in comparison to the previous month, it is still very respectable when compared to other large economies," James said. "Banks, financial sectors and metal stocks rose. There is expectations that the IIP, WPI and CPI will have a positive bearing on the Reserve Bank's decision on a rate cut." Despite a steep rise in prices of pulses and onions, India's annual inflation rate based on wholesale prices continued in the negative territory in August, falling to (-)4.95 percent. The wholesale prices had decelerated by (-)4.05 percent in July. The steep decline in August was mainly led by lower fuel prices. Another key macro indicator showed that India's factory output had grown by 4.2 percent in July against a marginal rise of 0.9 percent in the like month of last year. On the other hand, the growth seemed to have slowed when compared to the revised figures for June which showed a rise of 4.4 percent against a rise of 3.8 percent which was published in the "Quick Estimates of IIP" released on August 12 last. The major data of IIP, WPI and CPI are the last significant pointers towards Reserve Bank of India's (RBI) rate decision. India Inc. expects a better-than-expected WPI and CPI will drastically improve chances of a rate cut during RBI's monetary policy review slated for September 29. The WPI and CPI indicators are also important, as they will give domestic guidance to the capital markets, just before the US Fed's Federal Open Market Committee (FOMC) meet on September 16-17. The US Fed will decide during the FOMC meeting whether or not to raise interest rates. Vaibhav Agrawal, vice president, research, Angel Broking, told IANS: "Markets are trading higher despite weak Asian cues, led by the better than expected industrial production figures." "On the global front, investors continue to remain cautious ahead of the Fed meet." Sector-wise, all 12 indices of the S&P BSE made gains during the intra-day trade. The S&P BSE banking index zoomed by 374.37 points, healthcare index augmented by 196.68 points, metal index soared by 182.62 points, oil and gas index augmented by 81.06 points and automobile index was higher by 75.48 points.